Sometimes we find a PDF file that have an encryption and asks for the password to open. 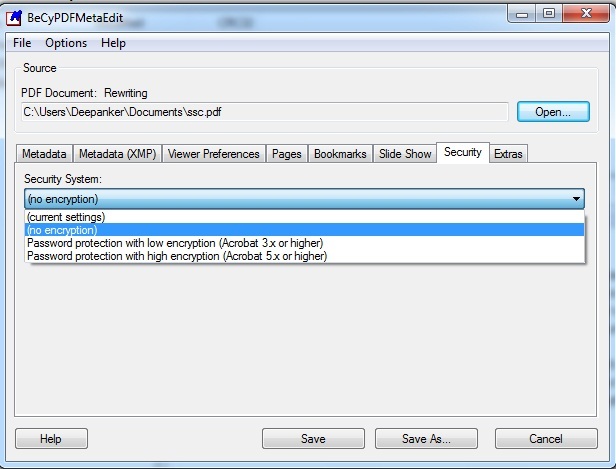 To ope the file without need to enter the password, you can use a nice utility software called, BeCyPDFMetaEdit. It is basically a PDF metadata editor which allows you to edit the author details, title, subject and keywords of a PDF document. But you can also use it to PDF password. The first allows incremental updates to save document changes. In this mode, we can edit and alter the PDF file. In the the complete overwrite modewe can transform the document with the applied changes including the previous content. To remove the password, we run the tool in this mode. 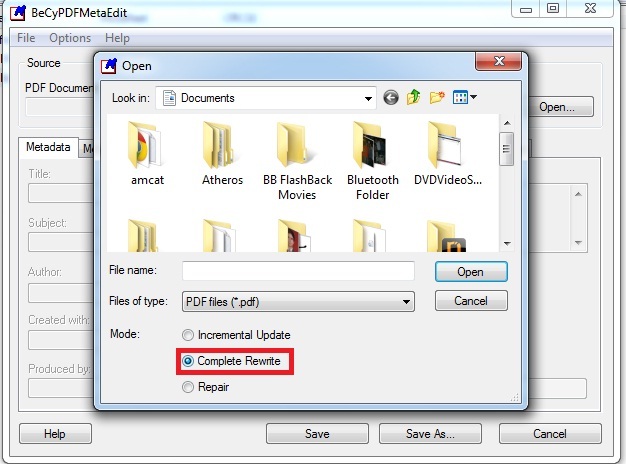 The third mode is meant to repair damaged PDF documents. This is a free windows app that works fine. Download BeCyPDFMetaEdit on your system and run the tool. At startup it will ask to open a PDF file. Browse the location and PDF file. And then, you need to select Complete Rewrite option from checkbox. TO remove the pasword encryption, go to security tab and select No Encryption. Now save the PDF file. It will remove the password from the PDF file and keep the original data of PDF.